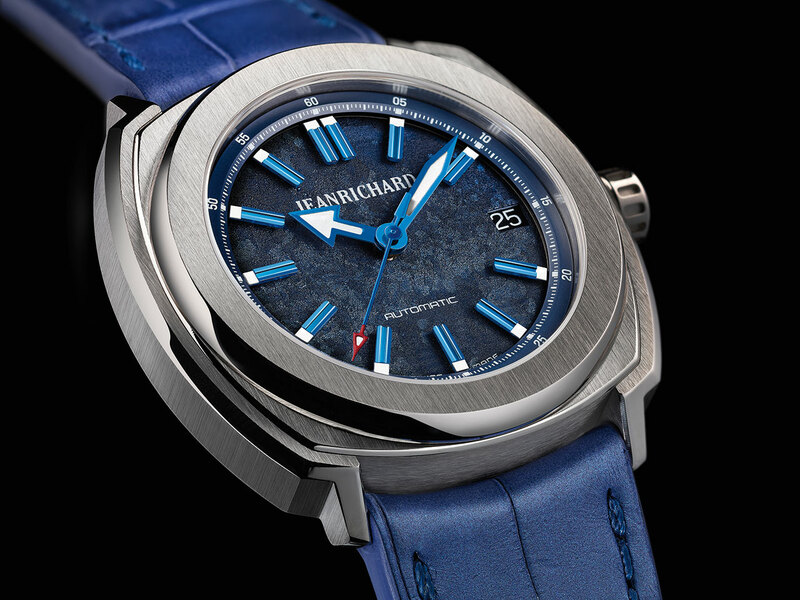 Inspiration comes out of the blue for Jeanrichard, whose iconic Terrascope lends itself to two original iterations in a new 39 mm size. 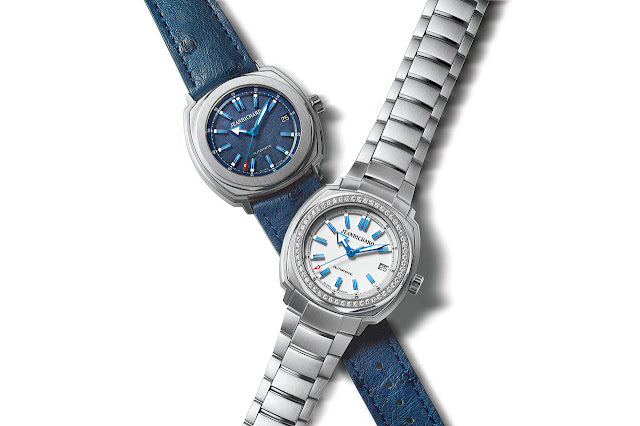 The first opts for the laidback, stylish colour of denim with a structured blue dial and a matching ostrich strap. 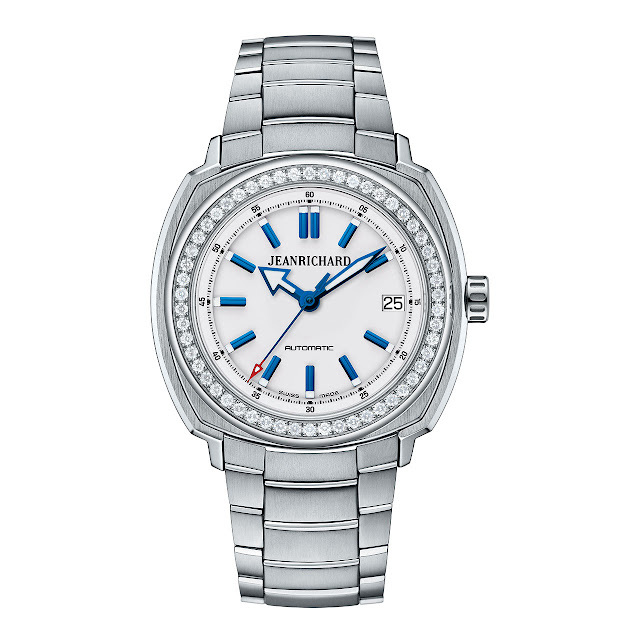 The second stands out for its blue hour-markers which are suspended above a matt white dial. Diamonds embellish the bezel in steel, a metal echoed in the bracelet. In true Terrascope style, these new versions boast the legendary case which encloses a round opening in a cushion shape, all the while playing on subtle contrasts between a vertical brushed finish and a polished finish. Sporting and elegant, both these watches are devoted to a life lived for adventure, discovery and the urge to always go that little bit further.